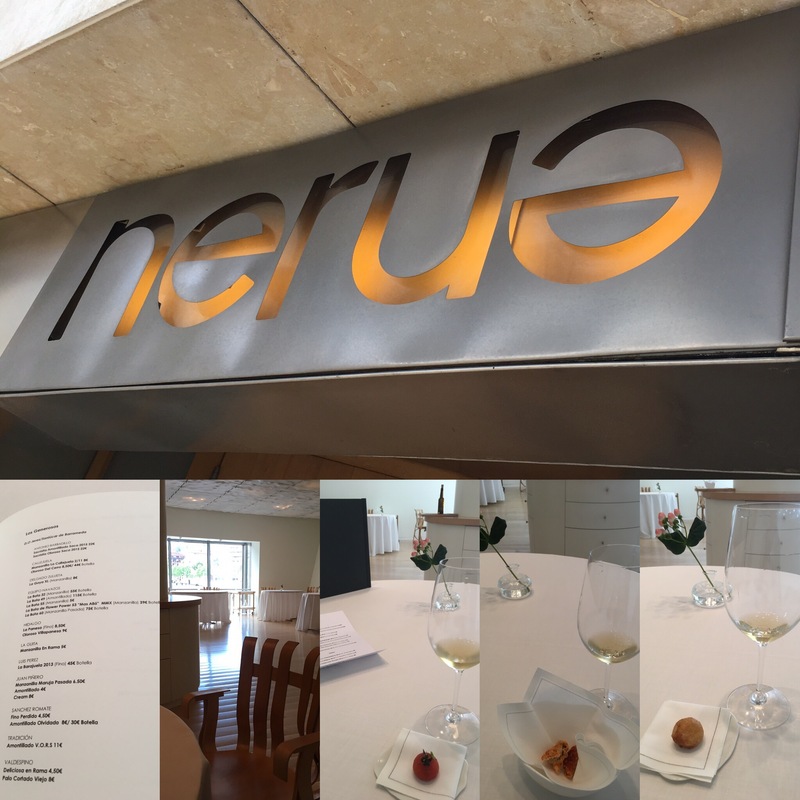 I am discovering that Bilbao had a fair few attractions for a wine fan and one of them, if you love the wines of el marco, is Nerua. the actual cream by Piñero. It is a remarkable list – excellent all round and some top wines. There isn’t a single wine on there I wouldn’t order, some of them are unique and impossible to find and I am struggling to spot any flaw in the range (there may have been some pedro ximenez on a separate section of the wine list that I did not look at – apologies – but maybe if you wee very picky you could beg for some pedro ximenez options up and down the card). And there are many other reasons to visit too – I couldn’t stop long yesterday but long enough to try three absolutely beautiful tapitas and enjoy a really friendly welcome. I will surely be back and I hope it is soon. Wow! We were celebrating there in May five years ago and if memory serves me correctly the only manzanilla they ranged was La Guita – judging by the lote they’d had it a while. Time to revisit!